Let me tell you that as a parent of a child with attention and learning issues, I have long worn the “advocate” hat. Not until recently have I been so applauded for being there for my son on these cloudy days. I know I’ve said this a million times over, but I can’t imagine not being a loving, supportive parent no matter what my child is going through. Don’t get me wrong — I fully appreciate a community who recognizes what I’m doing for my son. If I can change the course of someone else’s life because of the way I am parenting, then I will have done my job. Truthfully, I have never been more fulfilled. This past week has fed my soul in a way that is, in some ways, indescribable. Women from all over the country (and some men), including a few from Canada and Europe, have raised their hands in support of transgender kids who are looking to find their way. Sadly, often it takes a tragedy to set the wheels in motion. The world lost a beautiful young woman, Leelah Alcorn, all because her parents did not love her enough. They did not love her enough to get past their own fear and insecurities and religious upbringings. They did everything in their power to alienate, isolate and invalidate their daughter’s life. They forgot that when you bring a new life into the world, it is a parent’s job to nurture and guide and encourage and instill a feeling of self worth and independence. To do otherwise is abuse. To read another’s opinion on this, check out this article by Jessica Valenti. OK…I will stop the rant now. 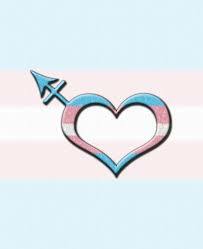 Over the last several days I’ve had the privilege of reading stories from other “transgender” families; really great stories. The concept and message is just so simple. If you love your child unconditionally amazing things will happen. All it takes is one loving, understanding adult to change the way a child feels about his or her place in the world. Ally Moms, dads, siblings, teachers, religious leaders — we are all able to make a difference, one child at a time. I am reminded of the We are the World song release in support of the AIDS epidemic in the mid 80s. Listen to the lyrics. The message is so powerful and timeless. Please share this. Hug your children. Practice tolerance. Open your arms and your hearts. Thank you from the bottom of my heart.